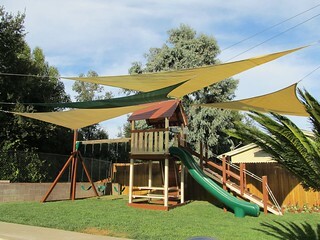 We are the largest polyvinyl swing set dealer in Los Angeles and Ventura County in Southern California. 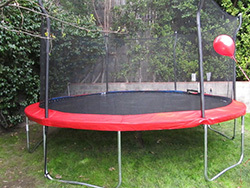 We rent swing sets and trampolines for film/tv production shoots. 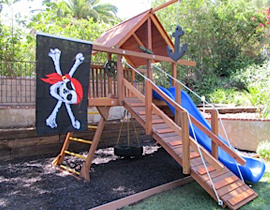 We also design Play Structures as well as sell new / used Poly Vinyl and wood swingsets. 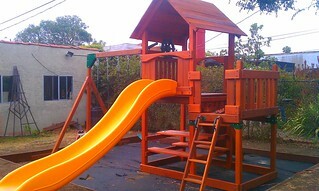 Swing Set Solutions offers complete solutions for your convenience. 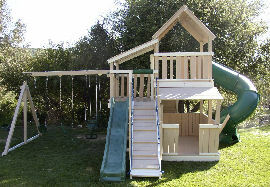 We stock thousands of backyard playsets and accessories. 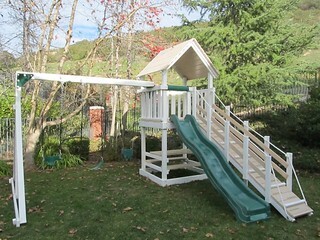 Our services include assembly, repair, refurbishment and relocation, rentals of swing sets, trampolines and play systems in the greater Los Angeles, California area including Ventura County. 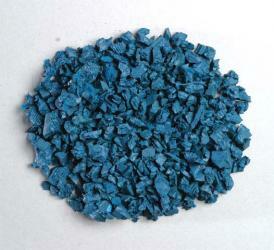 We also specialize in the installation of playground surfaces such as rubber mulch. Let us help you get the play system that works best for you and your children. Our goal is to make that process as easy and pleasant as possible. We carry new Propel & Aosom trampolines. The trampolines come in both round and rectangular configurations. Available for pickup and self-installation or delivery and professional installation. Please visit our profile page and become a fan. It's a great way for us to keep you informed of new products and special promotions. 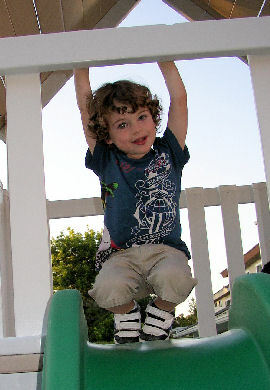 There are so many brands and models of outdoor play sets to choose from. You've got to take a number of factors into consideration. For example, price, size and configuration, quality, safety, suitability to the terrain, and the size and aesthetics of your yard. And lets not forget the most important consideration: you want a play system that will make your kids happy. Also, if you're looking for a used play set you've got to consider the condition the unit is in and what it might take to refurbish it if necessary. Selecting just the right play system to suit your needs can be a dizzying experience. At Swing Set Solutions we have the knowledge, experience and expertise to assist you in making a choice you will be happy with for years to come. We understand the market and the range of available options. And we would be happy to help you find appropriate choices, whether new or used, and to perform any necessary reconditioning. We can also assist you with a wide variety of lower priced budget and commercial play sets, as well as trampolines. We service major brands such as Congo, Safari, Costco, Toys "R" Us, Rainbow Play Systems (maker of the play set owned by Barack Obama and his kids), Play-Well, Backyard Adventures, Walmart, Target, Gorilla, WoodPlay, CedarWorks, WillyGoat, Kid's Creations, Creative Playthings, PlayNation, and many more. Maybe the terrain or available space in your yard makes it difficult to find a suitable configuration. Or maybe you just want to create a unique and special experience for your kids. 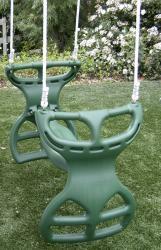 We can design or customize a polyvinyl or wooden swing set or play set to meet your family's specific needs. Toward this end we also offer a substantial line of additions and accessories to customize your unit and give your kids an extra fun experience. Browse through our product catalog to see what we've already done for some of our many satisfied customers in Los Angeles and Ventura, CA. We would like the opportunity to create something special for you too! To ensure your children's safety it is essential to have proper assembly and professional installation of your play system. This will actually save you time and money in the long run. It is also a very good idea to install a proper play surface to protect your children from needless injury. 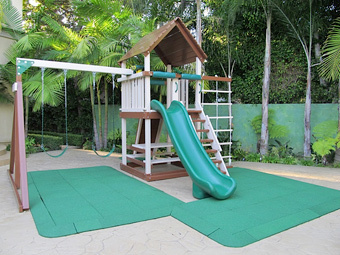 We offer a line of attractive, quality rubber tiles and rubber mulch products that will make any play area more child-friendly and give you greater peace of mind. We have added new services and pricing for your convenience. Safety, proper installation annd customer satisfaction are our highest priority. 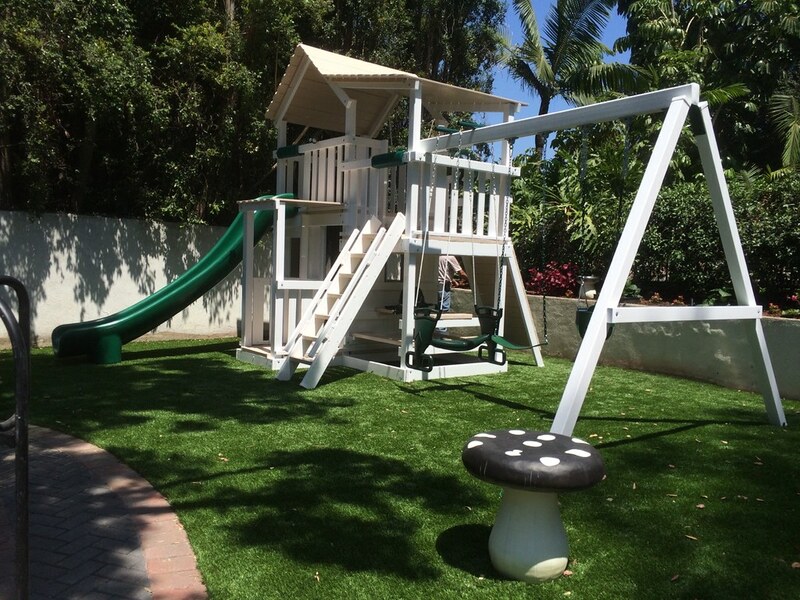 Get the best with Swing Set Solutions! You are welcome to contact us for a free consultation. We're happy to answer your questions or help in any way we can, whether you plan to buy from us or not. Our #1 goal is to provide you with all of your swingset solutions! 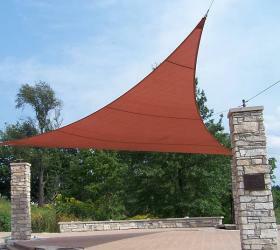 11 ft x 11 ft triangle Coolaroo shade sail with 2 posts and hardware. Price includes installation. These rectangular trampolines by Propel just arrived and look amazing. The construction is the same top-notch you can expect from Propel. We recommend these trampolines if you want to maximize the area of your backyard. Allow us to assemble one of these trampolines for you. We do the work and you just enjoy it for years to come. It looks like real wood mulch, but doesn't have the negative aspects. It won't stick to or stain clothes. It's splinter-free and won't scratch or irritate exposed skin. And, it won't become a breeding ground for mold, fungus or insects. But best of all, EnduraSafeTM makes every landing a soft landing. Same features as Monkey Package 1 with an additional 3' high lower front porch. Here is a list of some of our celebrity clients. 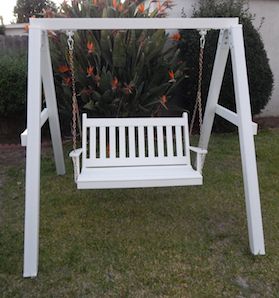 Here is a list of cities we service in Los Angeles County and Ventura County in Calif.
“I wanted to thank you again from our entire family for the outstanding swing and playset we bought from Swing Set Solutions. We have been very happy throughout the entire process and you really helped us figure out how this would be the best fit for our backyard, our budget and family. I want to give a special thank you to your team that did the installation. As project manager David was outstanding to work with and very courteous and professional. Mike and Angel did a great job too and overall the project went very well. The playset is huge so I wasn't surprised that it took two days to install. “Hi Dennis, I just wanted to tell you how thrilled we are to have our new swingset. Everything was just right and the boys played on it from this morning until coming in for dinner. The little one was able to go right up the gang plank with ease and actually fell asleep for his nap in the great bucket swing. Thank you very much for always replying to phone messages and emails and also for taking the extra step and coming out to Yucaipa. I know it isn't usually an area that you frequent but I am so glad that you did for us. I know we will have this set for many years to come and I just wanted to say thank you. I also wanted to tell you that the men who put it together were very friendly, fast and efficient.I will tell everyone I know about you and your wonderful swingsets that have the ability to turn a backyard into a playground.